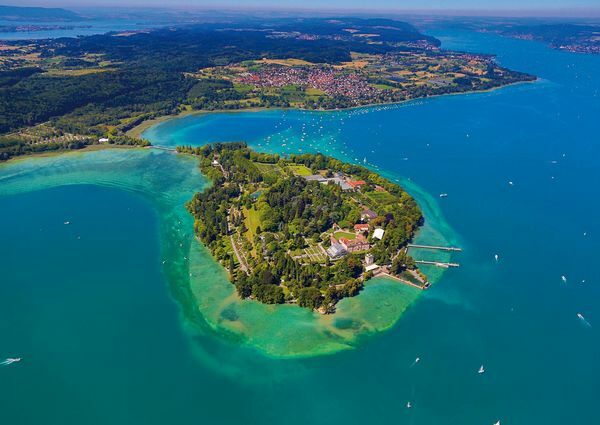 The first public gardens of Lake Constance were developed in the 19th century. In palm houses and urban parks mixed a variety of different styles into a new item. Radolfzell, Constance, Überlingen are only a few examples for it. Even in the private gardens happened this development. All is permitted that pleases, is still valid these days. Count Lennart Bernadotte designed Mainau Island after his own ideas to "flower island" and created space for creative minds of all kinds. An idea which is still maintained by his children. Parallel to the individual style developed a longing for the simple life on the country. Wealthy citizens and artists fled from the city and were looking for a piece of the "perfect world". They dabbled in self-supply and in the colourful glory of the farm garden. Also Herman Hesse, whose garden can be visited on the Höri. His garden is a part of the "Garden-Rendezvous on Lower Lake (Untersee)", which combines a colourful bouquet of various private and public facilities. In EchinaPoint in Roggwil is all about the natural medicine pioneer Alfred Vogel and his favorite plant, the purple coneflower. Medicinal plants of the world A.Vogel shows a lot about the healing power of fresh plant. Oppulent flowerage throughout the year, a park with 150-year-old trees, the Baroque splendor of the castle and church and the the Mediterranean character - that is Mainau, the Flower Island in Lake Constance. All seasons flowers, perennials, trees and bushes show in the most beautiful facets and colors, one of the largest butterfly houses in Germany, the "Mainau Kinderland" and comital and cultural festivals are visitors magnets.